and staff to navigate the complicated laws of California. We can help you recover the maximum amount in damages to help you as much as possible from negligent or careless drivers and their insurance companies. Unfortunately, because of the negligence of some drivers of automobiles, cycling can be dangerous. Many drivers simply don’t pay attention to what is on the road ahead of or around them. 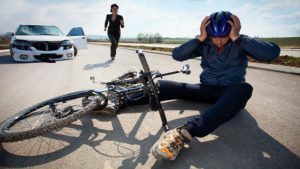 Automobiles and trucks can be quite dangerous to a person riding a bicycle considering all of the distractions such as cell-phones, radios, children yelling in the back seat that many drivers have to contend with. Although cars and trucks provide substantial protection to the driver, a bicycle doesn’t provide protection. 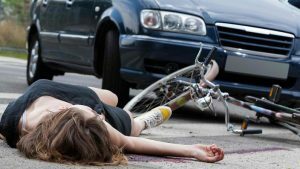 Because of this, serious injuries and death can be the result of an automobile-bicycle accident. If you have been injured by a car or truck while riding your bicycle, call the team at Krasney Law for a complimentary consultation. If you are an injured pedestrian, we can help you with your claim for compensation from the responsible auto driver. If you find yourself in this situation, call the team at Krasney Law for a complimentary consultation. We have attorneys and investigators capable of dealing with insurance companies, who try to pay as little as possible, even less than what you have coming. Also, some pedestrian accident victims may need to file a lawsuit to get the insurance company to pay. Keep in mind, getting you back to good health is the No. 1 priority. Krasney Law’s expert attorneys and staff can investigate the circumstances of an accident and file suit for maximum damages to see that our clients get what they need to cover medical bills, lost wages and pain and suffering. Or, we can negotiate with the insurance company to get you a fair settlement in exchange for your injuries. 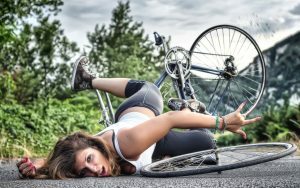 What Should You Do in Case of a Bike Accident? At the scene, first check on all passengers, drivers and pedestrians involved. If they need medical help, summon an ambulance immediately. Don’t move anyone who is unconscious or reports neck or back pain. Call the police to report any deaths, injuries or significant property damage and request a police report on the accident. Get the names and badge numbers of officers who come to the scene. It usually takes a couple of weeks to get the local police, sheriff or California Highway Patrol (CHP) to complete the report and make it available for pickup. Most law enforcement agencies charge a fee for the report. Ask all the drivers for their names, driver’s license numbers, telephone and address. Take down license plates and insurance information from every driver involved. Also get passengers’ names, addresses and phone numbers. This is a great time to start snapping pictures on your cell phone to help you with disseminating all of this information once you are calmed down. If there are witnesses, write down their version of what happened and their information too. Again, you can’t take too many pictures. Don’t admit to any degree of fault. Don’t speak with the other side’s insurance company without first calling our office. Please keep in mind, the insurance company will want to take a recorded statement to protect themselves, not you. They represent the people that injured you, and they are trying to reduce their financial liability. When you go home or soon after, contact your insurance company and let them know about the accident. Don’t lie or misrepresent the truthful facts of the accident or they may deny coverage if you’re caught. Obtain a copy of the police report or contact our office and we can help you with that. Photograph your bicycle and any damage to it. It can help a case to show the before the accident, too. If you are injured, make sure to record visits to doctors and other medical practitioners, the drugs and treatments they prescribe and what you spent on them. Pain and suffering are harder to quantify and qualify, but take notes on how you feel physically and mentally because of the impact of the crash. When Can It Be Considered as Neglect? The driver of a vehicle who injures another party may be considered negligent when he acts in a careless and thoughtless manner. Negligence comes in two forms: when the driver failed to do something that would have prevented the accident, or when the driver did something he should not have done. A lot of distractions are usually considered negligence, for example, using a cell phone while driving. To get a free evaluation of your case, speak with an attorney who understands the complexities of bicycle accident claims. We have been winning big awards for our clients for years. We have experienced attorneys and expert staff who will go all out to represent you for maximum damages. Call the team at Krasney Law for a free initial consultation. We will charge you nothing for an initial consultation, and we may arrange payment on a contingency basis. That is, we don’t get paid unless you get paid by either accepting a settlement or we go to trial and win your case. Contact us today for a free consultation.